Finding it hard to choose between the three on-trend metal tones this season? 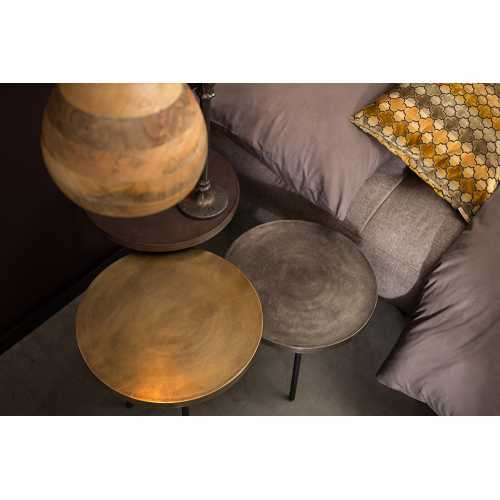 Then look no further, as Alim offers all three in one neat and tidy combination. 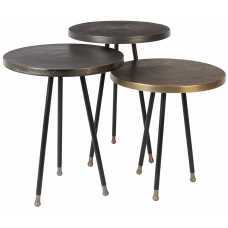 This set of three side table’s come in brass, metal and antique copper, and all contrast and compliment each other perfectly. Dutchbone source unique and quirky products from around the world, and seek to add a touch of ‘wanderlust’ to the home. 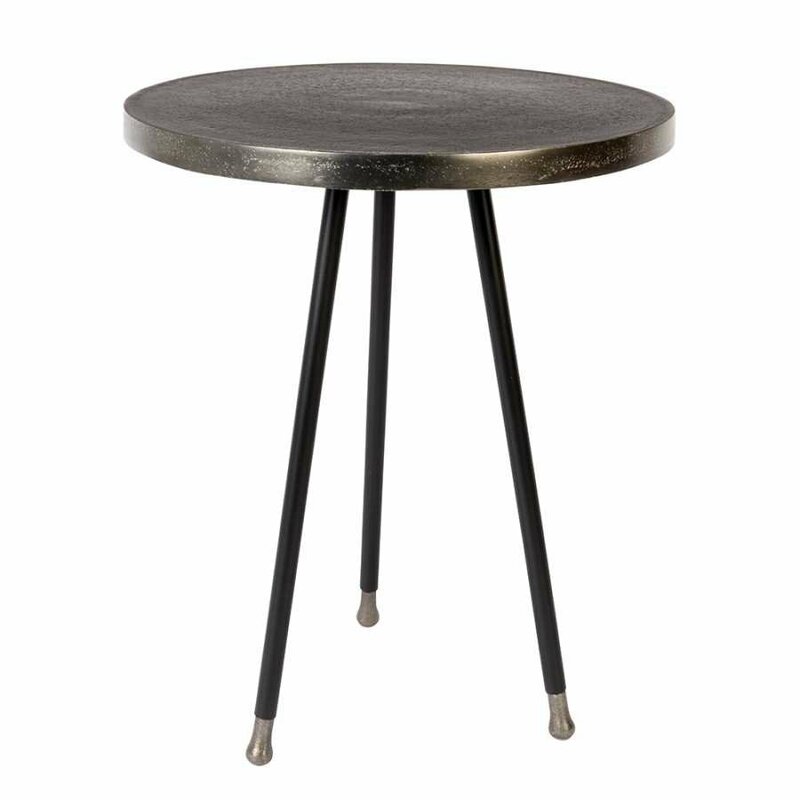 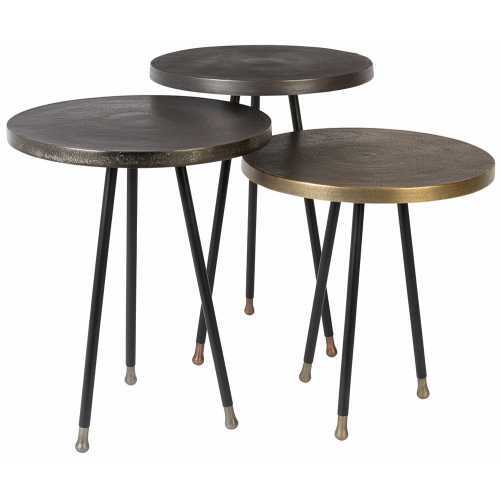 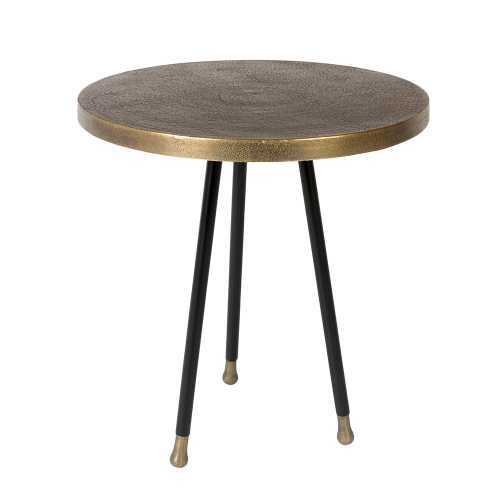 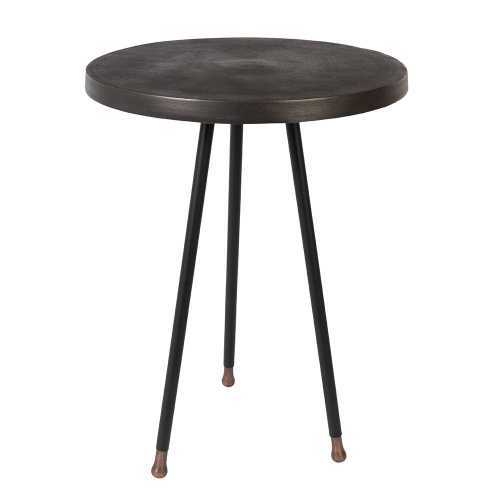 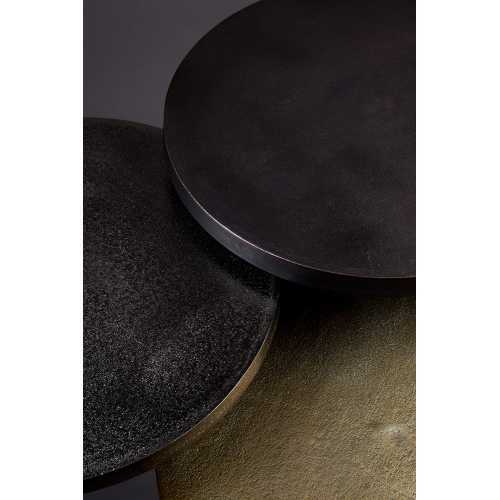 The three black powder coated metal legs emphasise the warm tones of the table tops, and look stunning either grouped together or spread across the room. 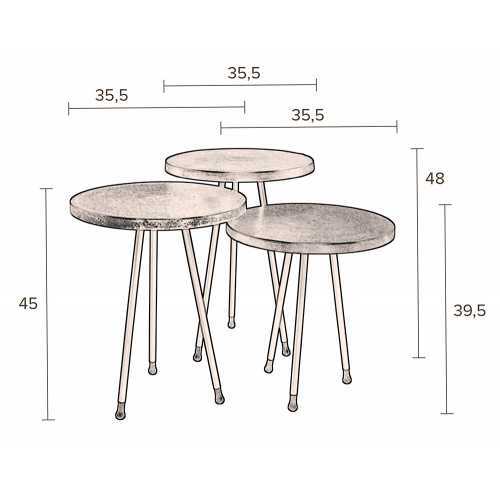 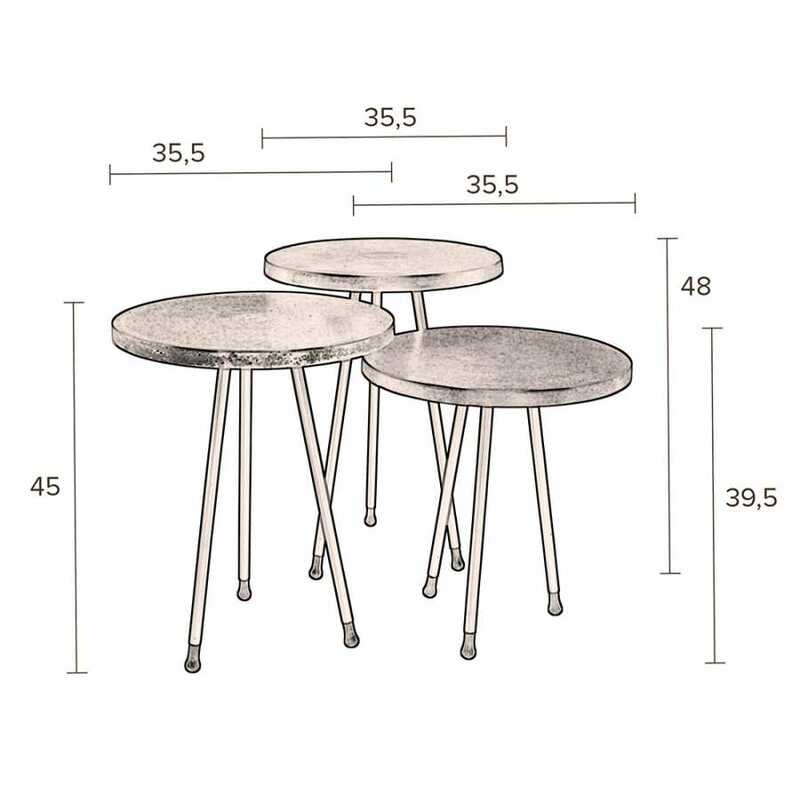 The three sizes measure: small 39.5cm height x 35.5cm diameter, medium 45cm height x 35.5cm diameter, and large 48cm x 35.5cm. 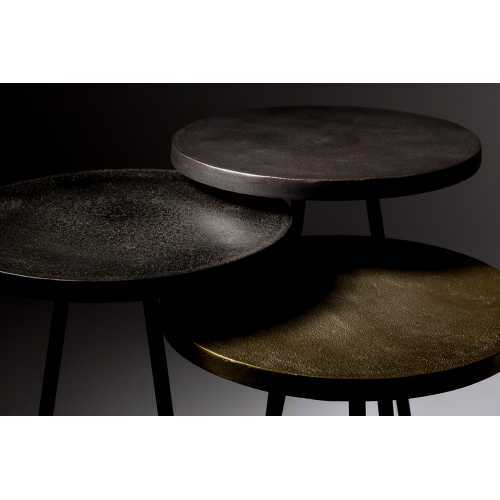 Each table has detailed leg feet that match the table top for a detailed finish. 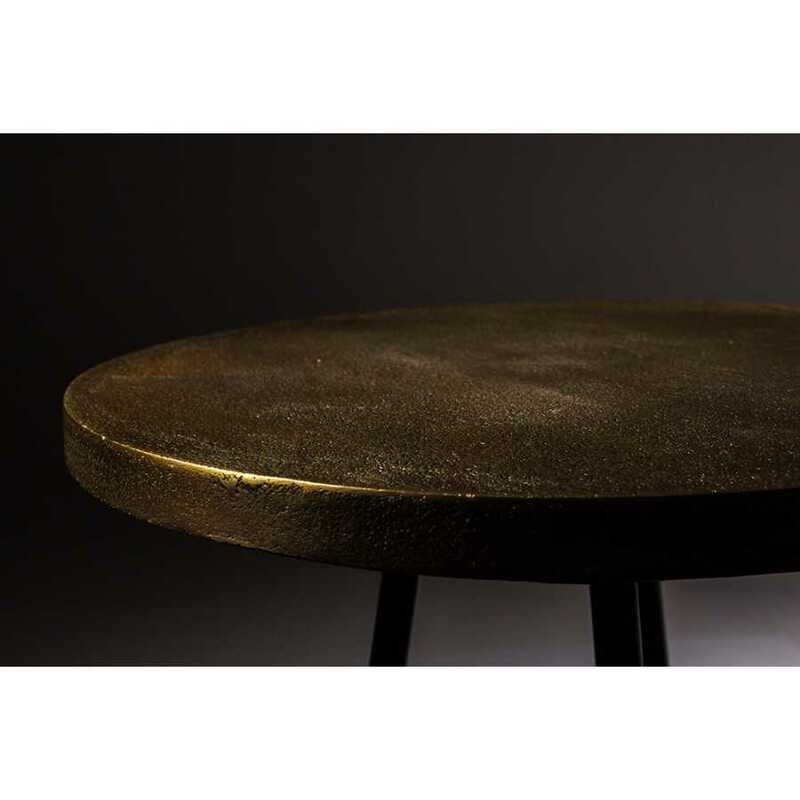 Alim side table aims to spread the interesting glow of it’s table tops around the room, and are ideal for entertaining guests, or you could disperse the Alim touch around the house and have them in separate rooms. To discover more about the brand, and range of globally inspired products, visit our Dutchbone brand page here.